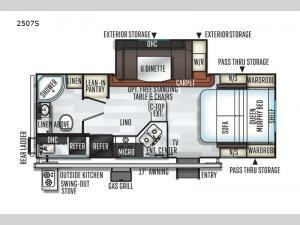 Come see just how fun and easy camping can be in this Rockwood Mini Lite 2507S single slide out travel trailer. Before you check out the inside of this model, take a peek at the outside kitchen. Here you will find a sink, an overhead cabinet, a refrigerator, a two burner swing-out cooktop, and a gas grill. Now you can spend more time outdoors with your family, while still being able to fix meals throughout the day. 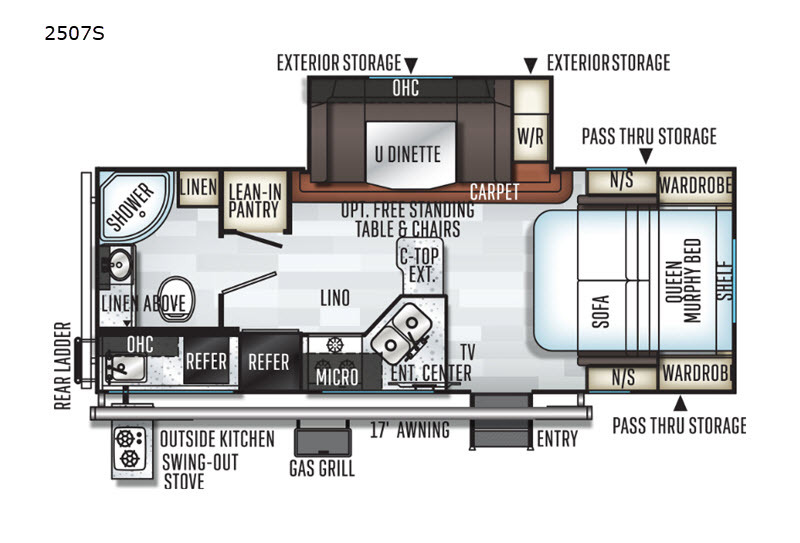 Inside and outside you will find plenty of storage compartments like the lean-in pantry, the linen and wardrobe closets, and the exterior pass-through storage, plus additional exterior storage compartments. There is a 17' power awning with LED lights for you to enjoy a good time outdoors whether day or night!